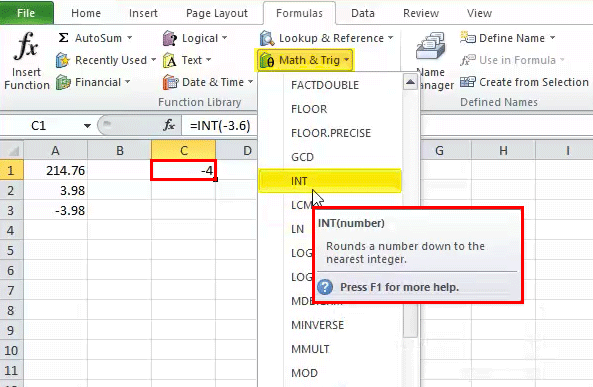 INT in Excel (Formula, Example) | How to Use Integer Function in Excel? How to Use the INT Excel Function? 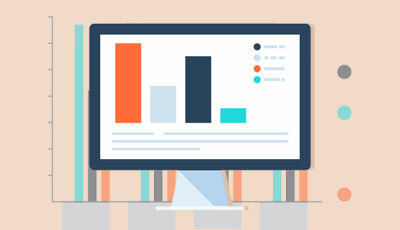 The Microsoft Excel INT Function is a function which is responsible for returning the integer portion of a number. It works by the process of rounding down a decimal number to the integer. It is built in Excel function and is categorized as a Math & Trig Function in Excel. 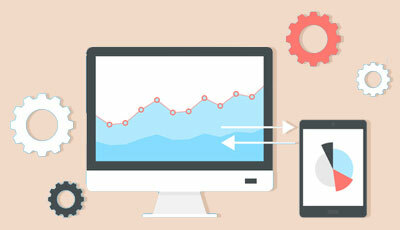 It is used either as a worksheet function or a VBA function. It can be entered as a part of INT formula a cell of a worksheet. Here, negative numbers become more negative because the function rounds down. For example, INT (10.6) returns 10 and INT (-10.6) returns -11.
number – The number to be entered from which you want an integer. The return value will be a numeric integer. It can be used when you want only the integer part of a number which is in its decimal form with rounding the number down. 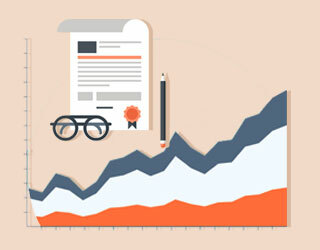 For example, INT (3.89) returns the value 3. Integer function always rounds down the number entered in the formula to the next lowest integer value. 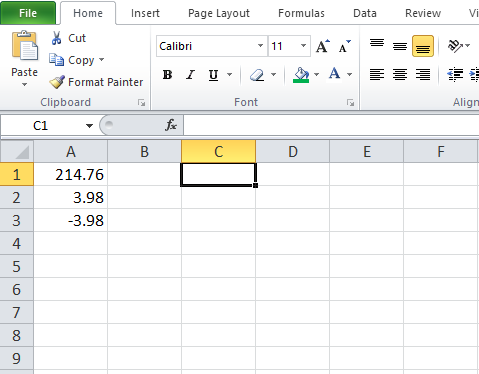 You can also use the TRUNC function in excel to get the integer part of both negative and positive numbers. How to Open the Integer Function in Excel? 1. 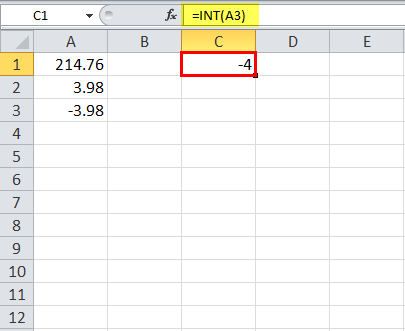 You can simply enter the desired Integer excel formula in the required cell to attain a return value on the argument. 2. You can manually open the INT formula dialogue box in the spreadsheet and enter the logical values to attain a return value. 3. 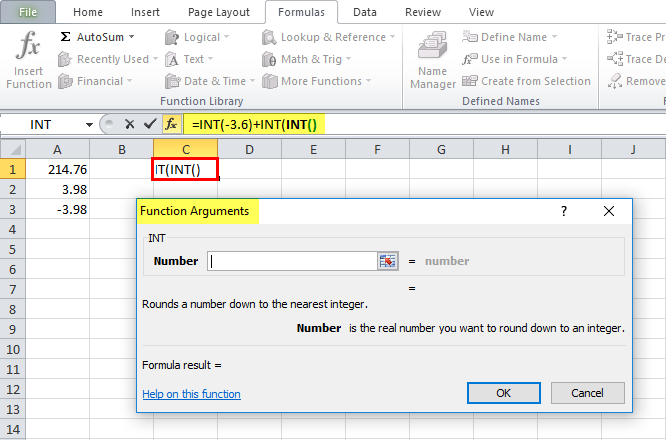 Consider the screenshot below to see the INT Function in excel option under the Math & Trig Function menu. 4. Click on the INT function option. The INT formula in excel dialogue box will open where you can put the argument values to obtain a return value. 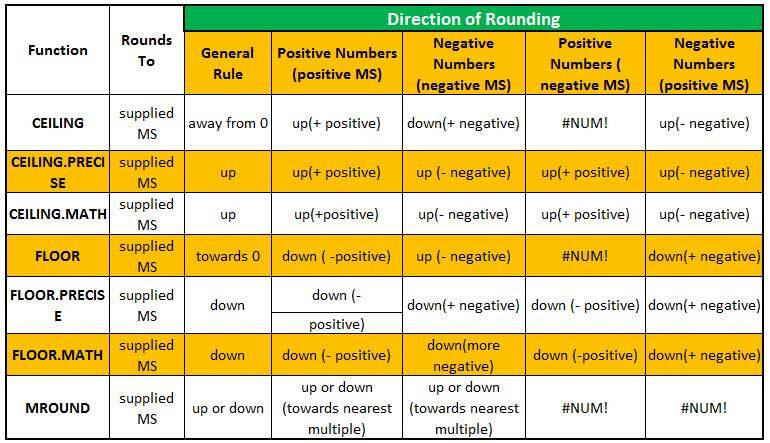 There are a total of fifteen rounding functions in Excel. Consider the three tables below which specify each function and their behavior. Please note that in the below-given tables, “more” is depicted by “+” and less is depicted by “-”. How to Use INT in Excel? 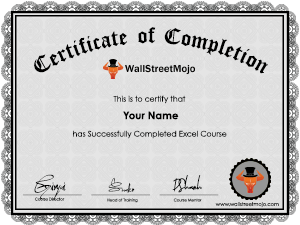 Excel INT function is very simple and easy to use. 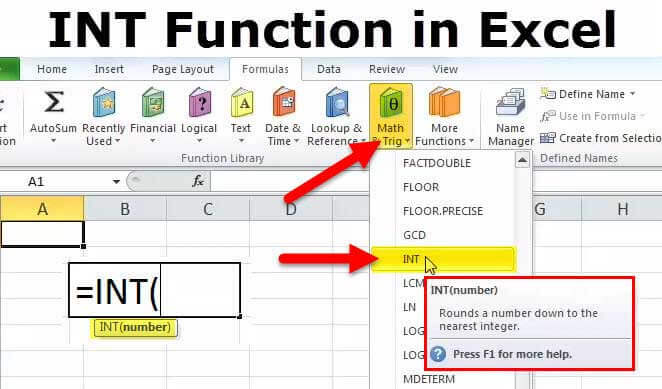 Let’s look below at some of the examples of INT Function in Excel. 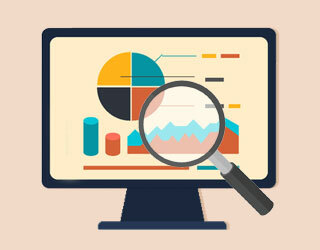 These examples will help you in exploring the use of INT function in Excel. Based on the above INT in Excel spreadsheet, let’s consider these examples and see the SUBTOTAL function return based on the syntax of the INT formula in excel. Consider the below screenshots of the above Integer function in excel examples for clear understanding. Here are a few examples, where it is generally used. #NAME? 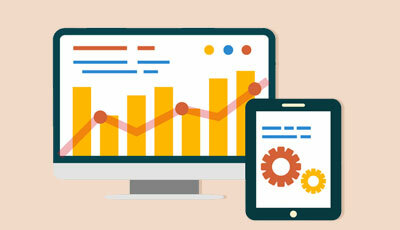 – This error occurs when the Excel does not recognize the text in the formula. You may have entered a wrong text in the syntax of the function. #VALUE! – If you enter a wrong type of argument in the syntax of the function, you will be getting this error in Microsoft Excel. #REF! – Microsoft Excel will display this error if the formula refers to a cell which is not valid. It returns the integer position of the number. It rounds down the decimal number to its integer. It is categorized under Math & Trig function. If you use Integer function, negative numbers become more negative because it rounds down the number. 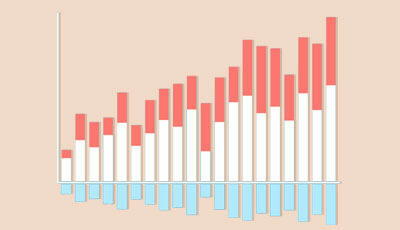 For example, INT (10.6) returns 10 and INT (-10.6) returns -11.